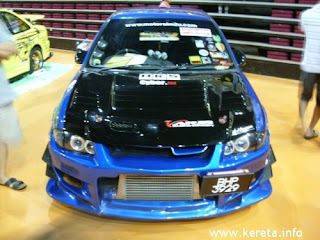 Refer to Malaysian Cars as a guideline for modification. Proton Wira is a Malaysian-made four-door saloon and four-door hatchback in 1993. 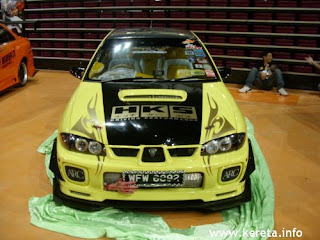 Below are of some very heavily-modified Proton Wira. Cool glossy orange colour with projector headlamp. A pair of Wira projector head lamp cost around RM800,or USD 250. 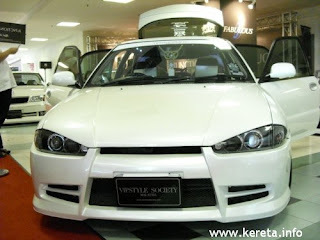 BMW-like body kits, with the head lamp that mimics BMW "angel-eye"
This Wira was modified like Rally racing cars. One of my favorites body kits, simple,neat and tidy. Thumbs up ! Malaysian Car Enthusiast © 2008. This template is Edited and brought to you by : !~Ap@i_Sp!DeR~!